Easter is right around the corner so it’s time to start sharing some creative and crafty ideas for the season! First up is this “DIY EASTER EGG” idea inspired by one of our most popular posts, a feature of Frog Prince Paperie’s DIY Pomander Flower Ball made the same way! Paula of Frog Prince Paperie is a crafty one for sure! 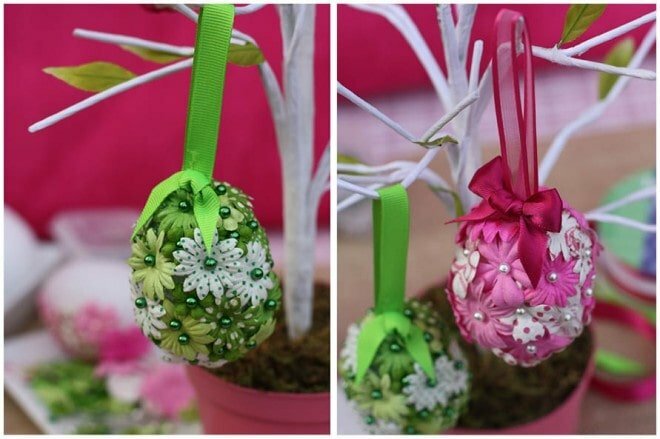 I was so inspired by the pomander flower ball that I tried it on Easter eggs! Read on for the steps (they’re so easy!) + find out when we’re hosting our biggest giveaway yet! 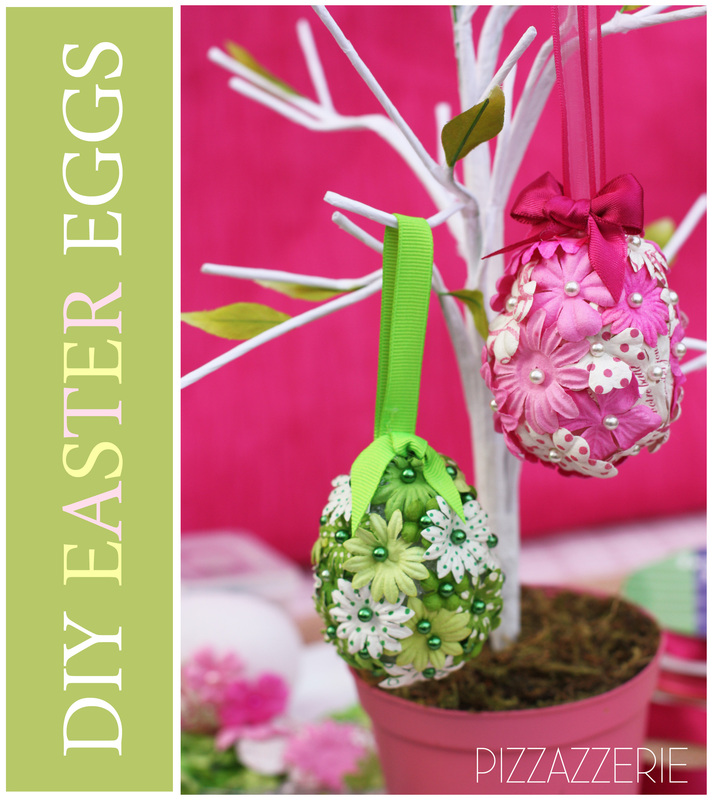 These little floral easter eggs are SO EASY to make! Seriously, you could make a dozen while watching your favorite television show and bam, you have a whole tree’s worth! 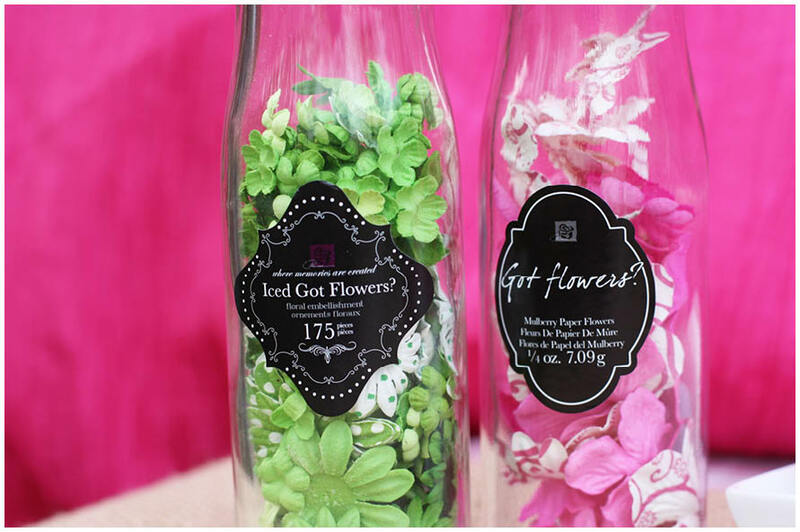 Step 1: Pour out your mini flowers (or punch them out of craft paper). Step 3: Continue adding flowers (overlapping a bit so the styrofoam does not show through) until egg covered. Step 4: Using a hot glue gun, attach a loop of ribbon to hang from tree. Or you can fill a small basket or vase with the eggs. We have some very EGG-citing Easter party features coming SOON (this week!) so stay tuned + our biggest giveaway yet is coming TOMORROW!! Thank you! I love this idea and they are beautiful! Love how you adapted the idea for Easter! You always have such creative ideas and inspiration for us! OMG…..love, love, love, love, LOVE these!!! Cannot wait to make them! Thanks Courtney!!! These are so beautiful!! I would love to try this, thanks for sharing! absolutely beautiful ideal for aged residents at nursing home to make and so easy too. These are adorable! I found you over at Tip Junkie. Thanks for sharing. found your project via Ucreate. Absolutely precious – I love that you can customize your eggs for your decorating colour/scheme. I found you through Ucreate. I love this idea! Those eggs are so pretty! I’m sure my girls would really get excited about a project like this. Oh wow, that is so cute!!! I really like these eggs! Thanks so much for sharing your pretty eggs and how you made them! very cute!!! 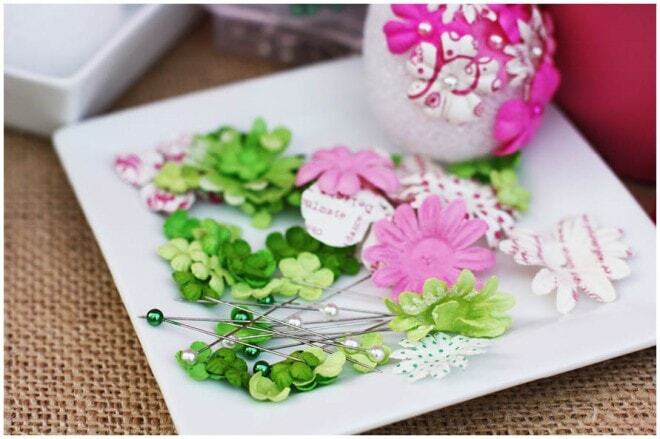 Great way to use scrapbook supplies!